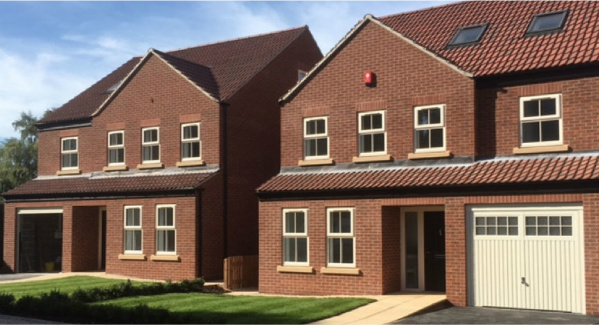 This was an Architectural project which we were originally appointed on in the summer of 2013 by Holme Hall Developments Ltd of Wath-Upon-Dearne. 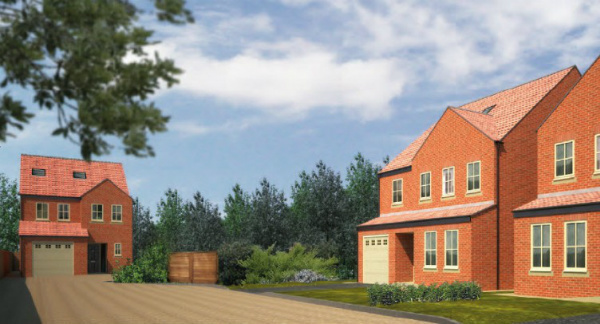 The brief was to obtain planning permission for three luxury houses, which would comprise of a generous level of accommodation including integral garages, large open-plan kitchen, dining and entertaining areas, four bedrooms and a master en suite. The site layout was long and narrow, with access via an existing track, so we knew from the outset that this would be a potentially difficult planning application. To minimise any potential risk to our client, we prepared a number of sketch drawings and submitted them to the local council, along with a design statement, in the form of a pre-planning application enquiry. The response from the planners was positive and this then enabled us to successfully obtain planning permission at the first time of asking, overcoming various highways and drainage issues in the process. Our client was delighted with the way we approached the planning application and is now in the process of building the houses. We aim to have some as-built photographs to update the website with in due course, as well as the photo-realistic 3D Architectural images above.